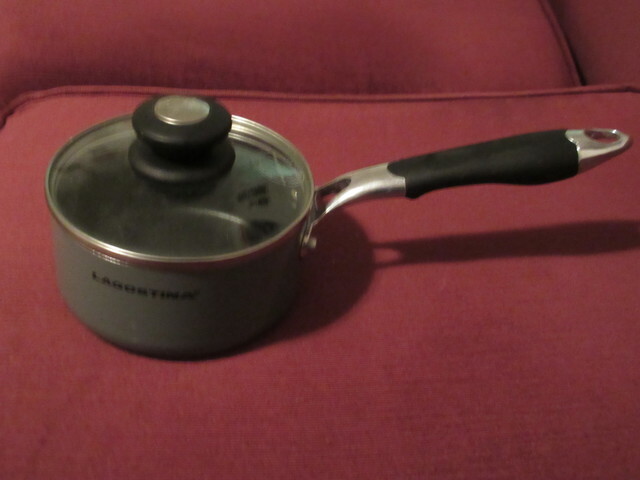 Lagostina small non stick sauce pot with tempered glass lid for sale. Holds three cups. Email or phone 250-837-4100 to arrange a time to view.